FacebookHollister came under fire in 2014 for featuring this thin model on Instagram. 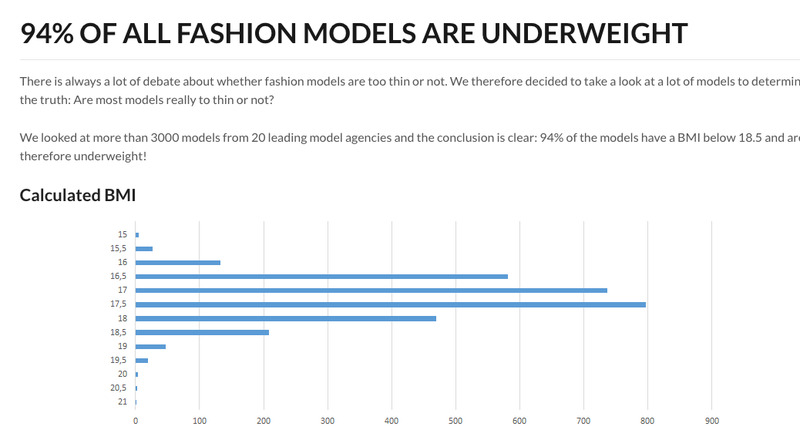 There’s a scary reality in the modelling industry: most models are unhealthily underweight. 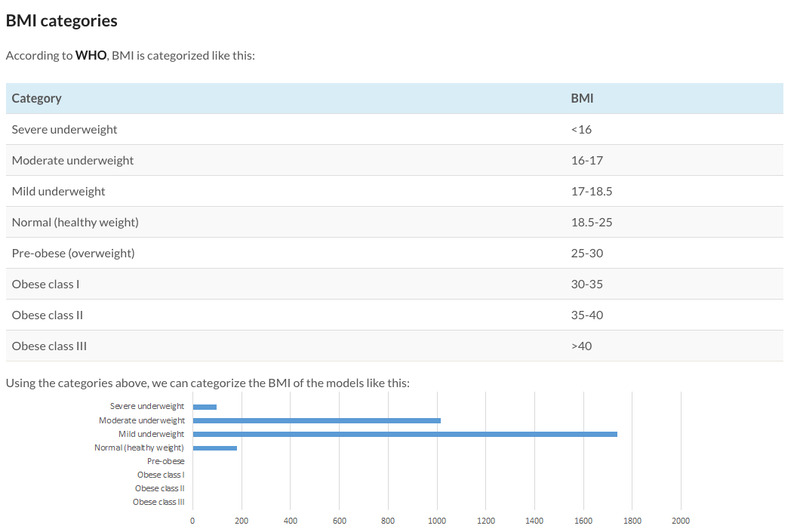 A recent study from Dream Models, a modelling management agency, revealed that out of 3,000 models from leading agencies that were polled, a whopping 94% were at an unhealthy body mass index of less than 18.5. It serves as evidence that even amid the body positivity movement and the emergence of curvy models like Ashley Graham and Iskra Lawrence, that the predominant trend in the modelling industry is to be thin — and at times, dangerously so. Though Victoria’s Secret models are quick to pose on Instagram with pizza and ice cream, it’s no secret that when it’s time for the big annual Fashion Show, they cut down what they eat by a lot. When former Elle writer Danielle Prescod embarked on a journey to get the body of a Victoria’s Secret Angel, she found herself eating mostly steamed veggies and supplemental shakes. Though France has forbidden thin models from walking the runway, the norm is still for models to be waif-like. 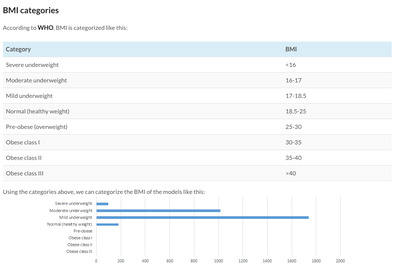 Here’s the breakdown of how many models were dangerously underweight versus how many were at a healthy weight. Unsurprisingly, none were classified as obese or even pre-obese.